From our large stock of antique chairs a good matched set of ash and elm Liverpool ear back spindle back chairs c1830. 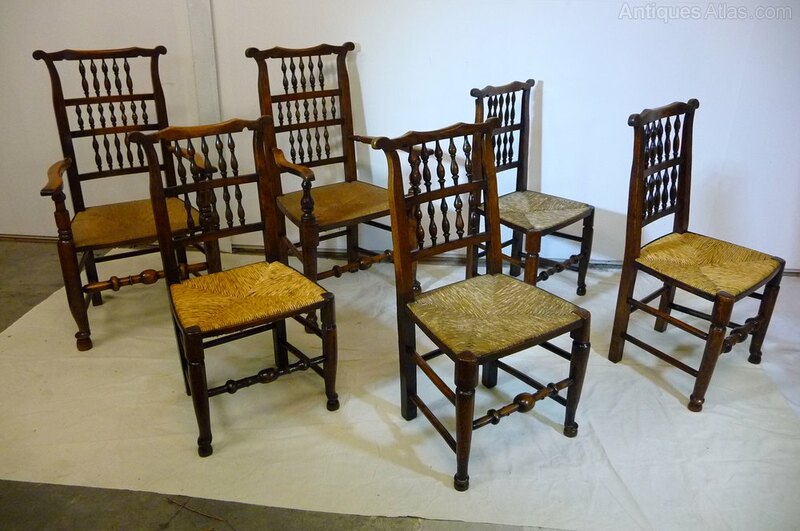 Called earbacks because these chairs have "ears" Comprising 2 carver armchairs and 4 single chairs. Great warm colour and no shakes. Seats have been re rushed where needed,The colour of the seats will tone down , we find most customers put swab cushions on them anyway. offered as always at a super competitive price. We can substitute the armchairs for singles if required with a cash adjustment. carver ht 97cms/42" width 56cms/22" singles ht 94cms/37"width 47cms/19"